Ildemaro Vargas was sent to Triple-A Reno on Friday. He played 49 games there last year and was added to the 40-man roster over the off season. Vargas was starting to generate a lot of hype in Arizona at Spring Training this year. 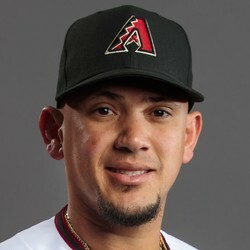 He had appeared in 18 games for the D-backs playing both middle infield positions as well as spending some time at third base. Vargas certainly gives the team options, but for now we will have to wait and see where he ends up His approach at the plate really stood out last year, when he had more walks (20) than strike outs (13) with the Aces.